These apple butter snickerdoodles are soft and coated in cinnamon, and they have a sweet surprise in the middle—a gooey caramel center! It’s Day 7, the final day, of AppleWeek! Have you checked out the giveaway prizes and entered to win yet? If not, head over to Monday’s post to read about the prize packs from our generous sponsors and fill out the entry form. 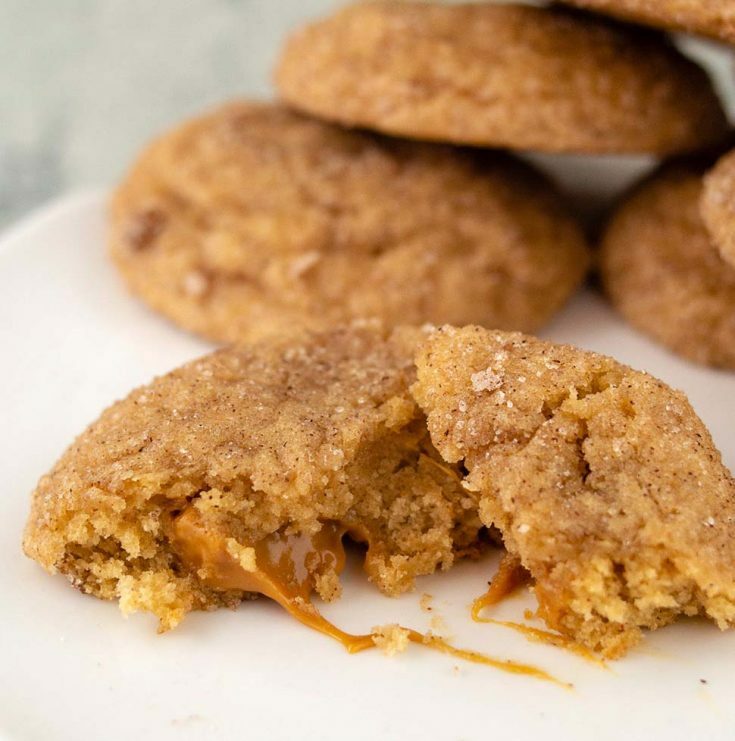 For my final recipe, I’m sharing a favorite cookie recipe: delicious apple butter snickerdoodles with a sweet surprise—a goey caramel center. 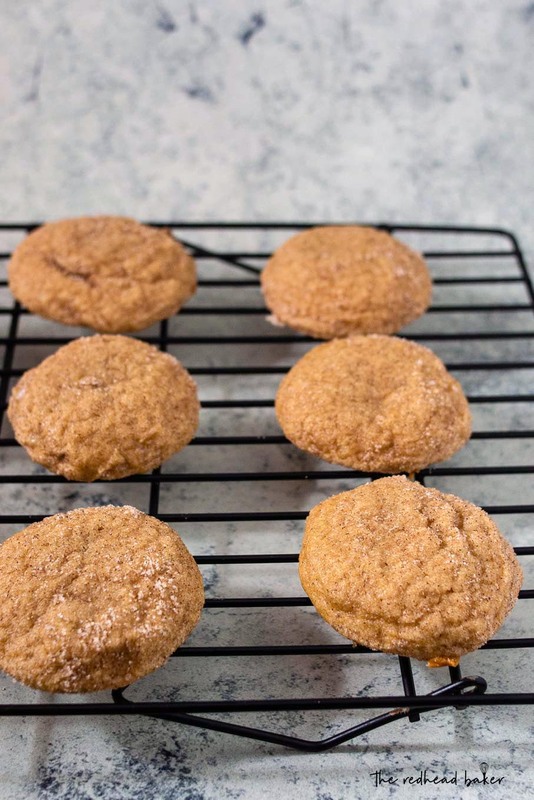 Like the traditional version, these apple butter snickerdoodles are light and soft, thanks to the cream of tartar. That’s what gives snickerdoodles their signature pillowy texture. They are also coated in cinnamon-sugar before baking. These cookies get their apple flavor from apple butter. Apple butter (or any other fruit butter) is a fruit paste, thicker than applesauce, with a more intense fruit flavor because nearly all of the water is cooked out. This dough is super soft and sticky, and needs frequent rests in the freezer to make it easier to work with. It also helps to slightly dampen your hands between rolling balls of dough. Resist the urge to add more flour, because that will make the cookies much denser. Make sure you fully cover the caramel in the cookie dough, because if any is sticking out once the cookies go into oven, it will ooze out of the cookie onto the baking mat. 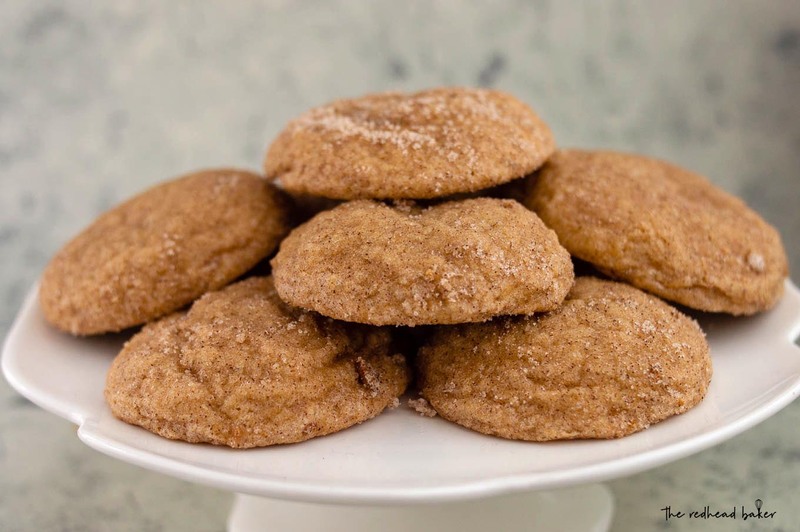 These apple butter snickerdoodles are soft and coated in cinnamon, and they have a sweet surprise in the middle—a gooey caramel center! Adapted from Baked by Rachel. In the bowl of a stand mixer, cream together the butter and sugar for at least 3 minutes, until light and fluffy, with the beater attachment. Beat in eggs one at a time, mixing well between additions, then the vanilla and apple butter. Scrape down the sides of the bowl. In a small bowl, stir together the flour, baking powder, salt, cream of tartar, cinnamon, nutmeg and cloves. Add about a third of the flour mixture to the cookie dough and mix in on low speed; then add another third and mix in on low speed, then add the final third and mix just until combined. Place the cookie dough in the freezer for 30 minutes. Preheat oven to 350 degrees F. Line a baking sheet with a silicone baking mat or parchment paper. Combine sugar and cinnamon in a small bowl; set aside. Use a medium cookie scoop to portions of dough. 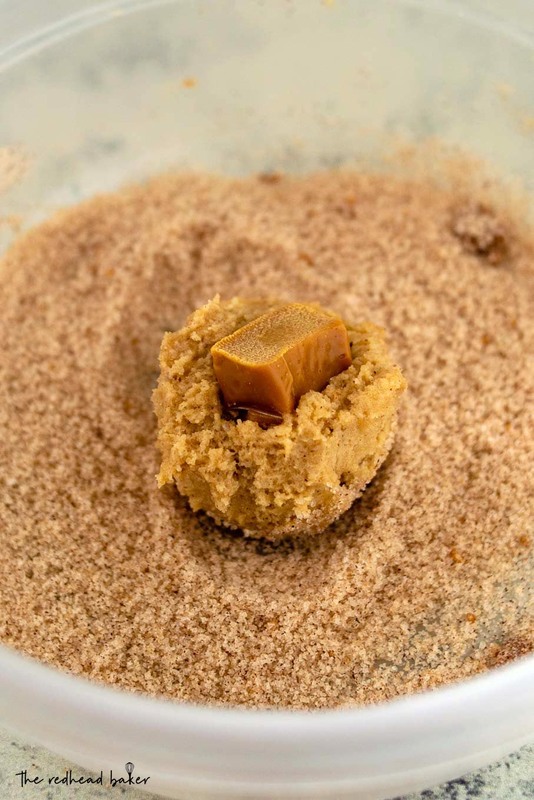 Press one half of a caramel candy into the center. With slightly damp hands, roll into a ball and completely cover the caramel candy, then drop into the cinnamon-sugar mixture. Gently toss to lightly coat all sides. Transfer to prepared baking sheet, spacing cookies 2-inches apart. Once the baking sheet is full, place it in the freezer for about 1 to 2 minutes to firm up the cookie dough, and then place it in the oven. Bake for 15-18 minutes or until lightly golden. Allow cookies to rest on the pan for 1-2 minutes before transferring with a spatula to a wire rack to cool completely. 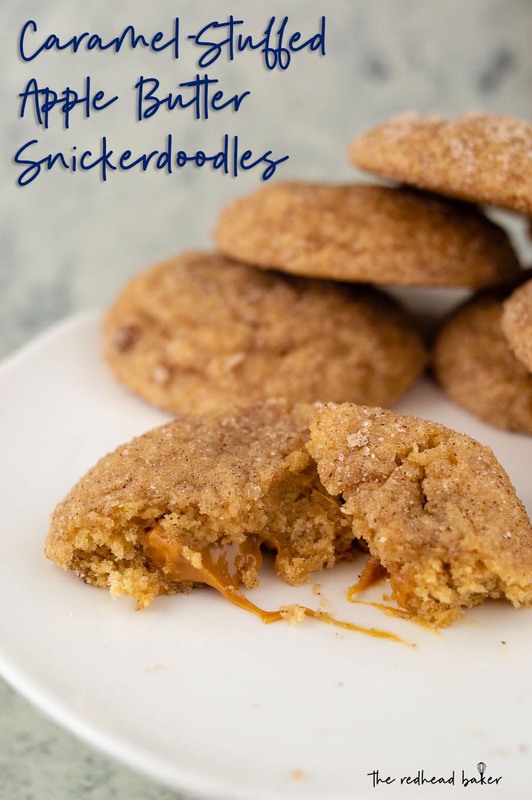 The snickerdoodle itself sound delicious and then the added caramel in the middle – yum!